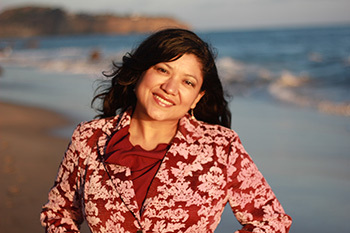 Reyna Grande is an author, speaker and educator. Her work includes her recent memoir, "The Distance Between Us" and two novels, "Across a Hundred Mountains" and "Dancing with Butterflies." Originally from Mexico, Grande came to the United States as an undocumented child immigrant to live with her father, whom she hadn't seen in eight years. She went on to become the first in her family to graduate from college. A graduate of the University of California, Santa Cruz, she holds a bachelor's degree and a master of fine arts degree in creative writing. You can find out more about Reyna Grande on her website - www.reynagrande.com - and you can meet her when she visits campus to talk about her life and writing. This event is sponsored by the Puente Program and Student Success & Retention Services.